Kiama’s Missing Pentrich Plaque, Have you seen it? 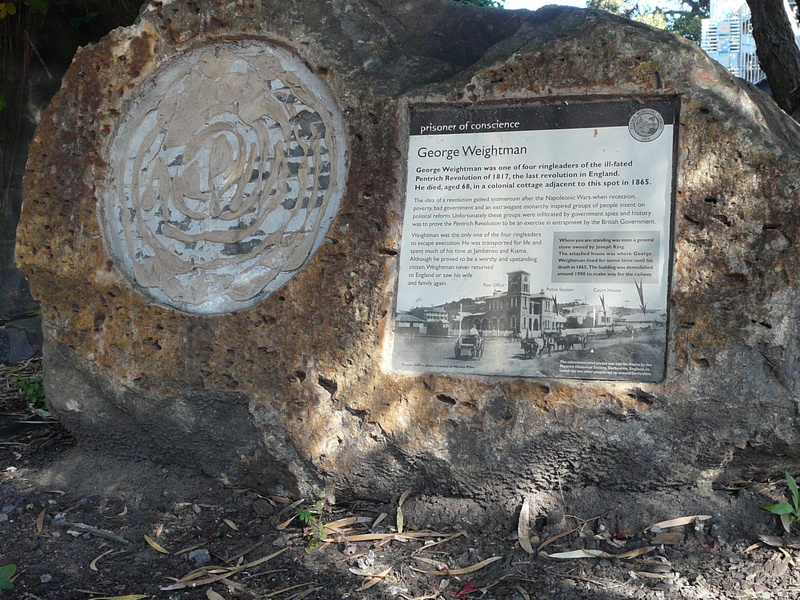 Commemorative plaque regarding George Weightman, a ‘Prisoner of conscience’. Plaque is located on the corner of Terralong Street and Railway Parade, Kiama. Ray Thorburn of the Kiama Family History Centre, with a member of the Pentrich Society of the United Kingdom, presenting the plaque to Kiama. Thorburn who is from the Kiama Family History Society. the cottage where George died. Finally, the Pentrich plaque has now returned though I have not yet learnt the full story! 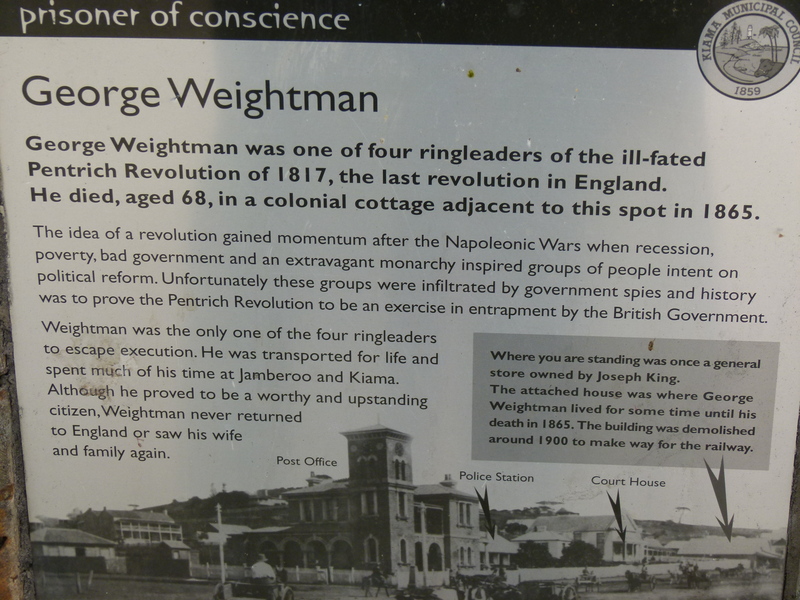 Here is a close up of the plaque with some history on George Weightman, one of hte Pentrich Five.